Particularly handy because it can be stowed using a bracket directly on the bike. The ABUS Catena 680 Chain Lock is reliable. The 6 mm square chain inside the black textile sleeve sees to that. 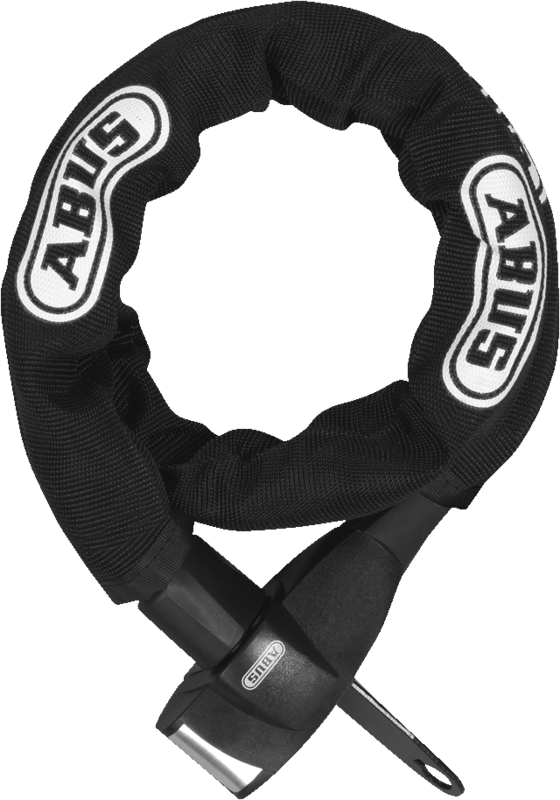 In proven ABUS quality, it is made of specially hardened steel and the textile sleeve prevents the chain from scratching your bike's paintwork. As regards ABUS quality: The Catena 680 Chain Lock locks with a key rather than a combination code. That said, you only need the key for unlocking, because to lock the chain you simply need to connect the two ends together and your bike is secured.